This year has been filled with new adventures for me. A lot has changed in these short six months and a lot is going to be changing. For instance I am a proud new (partial) owner to this baby. Its so ridiculously lifted that I can't see over the hood. My head is barely at the top of the door handle. By no means am I complaining. 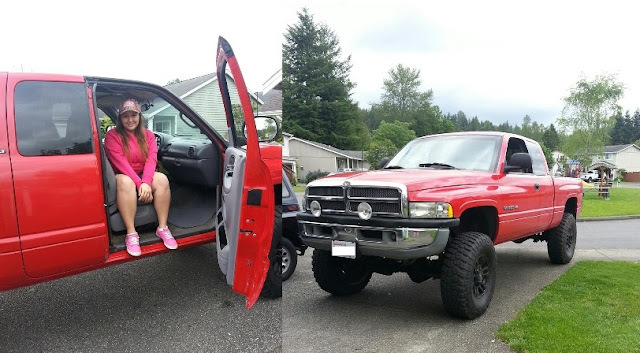 Dodge has run deep in my blood for some time now, always been one of those dodge girls. As you can imagine what kind of car am I going to be buying this month? You guessed it a Dodge! At the end of the month I am going to make the plunge to be in debt a little over ten thousand dollars to own one of these babies. 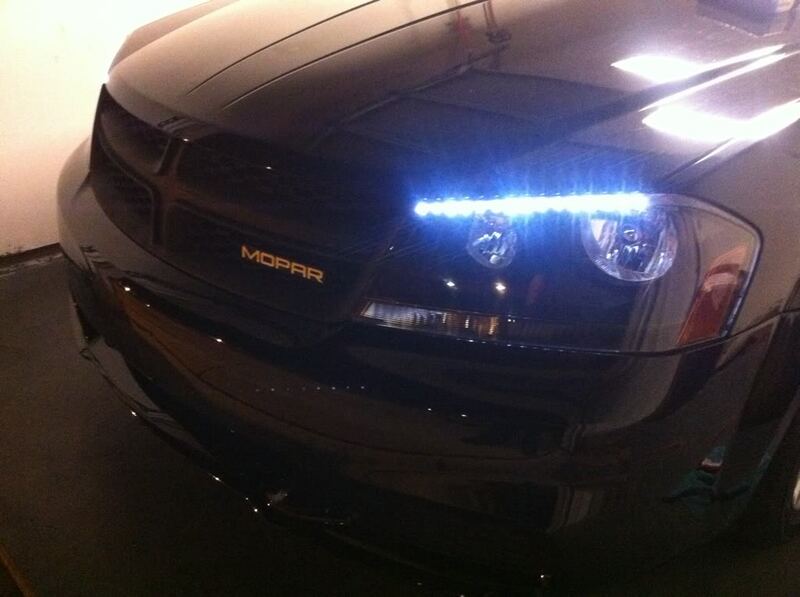 For all of you non car lovers that would be a Dodge Avenger. I'm putting a pretty good size chunk of change down on her but still that's a pretty big step for a twenty something year old. If you knew all the other changes going on you'd probably call me crazy. Fall more in love everyday. Get toned and be healthy. 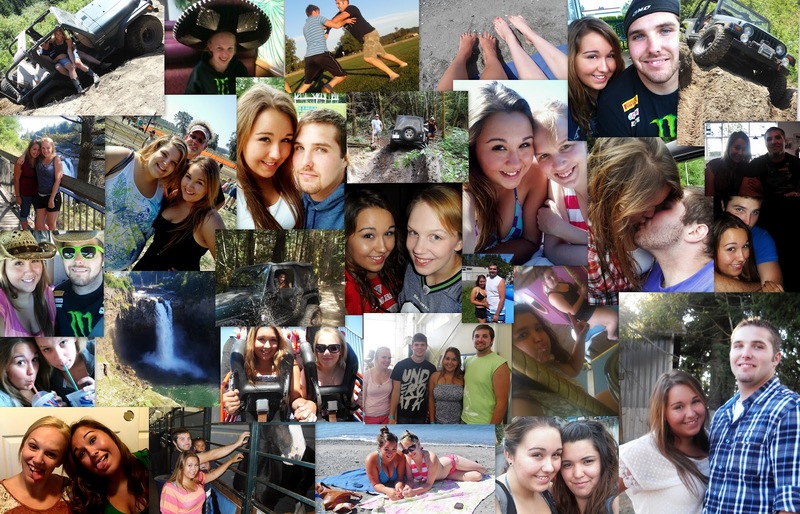 Two thousand and twelve was a great year for me filled with adventures and trials. Not only did I start three new jobs but I moved to an entirely new state. I also met some great friends and kept in touch with those who mean so much to me. My favorite part of the year was meeting my best friend, someone who I cant imagine life without. He's that kind of guy that makes you realize why I had to cry over so many douchebags to find someone amazing like him. 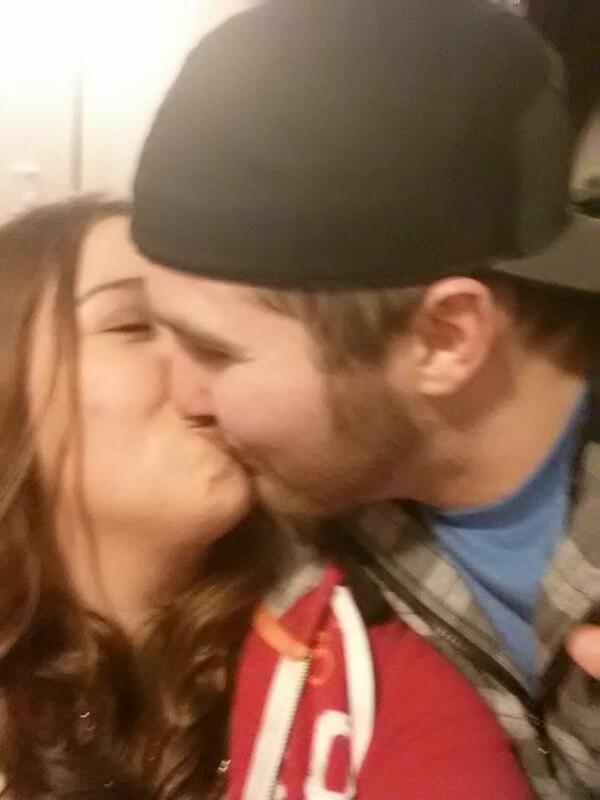 We brought in the New Years together and sealed the deal with a kiss. Not only do we spend most of our time together we make it a point to go on adventures and try things we've never tried before. Our last adventure we shared together was on my bucket list of things I wanted to do before I died. He happens to be a huge Seahawks fan and I happen to be a huge 49ers fan. So of course it seems logical that we would go to that specific game. I thought that wearing three shirts and two pairs of pants would keep me warm but alas I was still freezing. As my team lost I still had a happy attitude as we were leaving the stadium and listening to everyone cheering and making fun of my team. Its an experience I wouldn't change for anything. I'm excited to see what this year has to offer us and I have yet to change my blog name or thought of a cute idea. If anyone has any ideas feel free to let me know. Until then happy blogging! You know you really haven't blogged in a long time when you forget your own blog URL. That's pretty depressing. I was looking over my blog and I realized the main reasons why I stopped blogging. 1. Lack of time, energy or motivation. 2. I don't like my blog background. 3. I don't like my blog name. 4. Lack of feedback or content to write about. So I have decided to try this again. I'm going to try and be more diligent to my true blogging self. I missed blogging and all the memories and happiness that I've put into it, I also miss reading blogs too. I'm going to start to write in my own blog and also read other blogs. I'm also going to change everything about my blog for a new fresh feel. I don't know if any of my followers still read my blog but if you do I hope you know how appreciative I feel. Hopefully you will be hearing from me sometime soon. As summer is coming to an end and Washington's rain has appeared yet again its time to say goodbye to summer and welcome fall. Here are some picture highlights of some things I did this summer. It was amazing filled with trips all over Washington. Eric, Grandma, Andrew and my birthday. Jumping in piles of leaves. Chelsey visiting for a period of time. Going to Leavenworth for Christmas. I'm sure I'm missing more things but those are the things I can think of right now. What are y'all looking forward to? If you are wondering why he is wearing a life jacket he has epilepsy. This summer I had one goal, to remain single. You always hear about the summer flings and how they never last. That was not what I was looking for, then again at this point I had given up on dating. It was on my back burner as I had so much going on with my family and my health. I ended up getting in trouble that weekend and wasn't allowed to leave the house or go to work. I calmed my parents down and and somehow I ended up staying with a friend of mine to help her take care of her new son. She invited me onto a non-blind double date. By that she meant go to dinner with two of her male friends in which one would pay for me but it wouldn't be a formal date, I thought why not (little did I know that I was about to meet my dream guy). We got into her lifted truck which is the equivalent to trying to mount a horse and were on our way. We sat in the Fred Meyers parking lot and started dancing to country music while the baby slept in the back seat. Eventually tired of waiting for the guys we decided to drive to Denny's where we would just meet up with them. Elisha got a call an told me to answer so I did. Me: Well this is Sabrina. Andrew: Oh are you her friend? Where are you guys? Were at the Seattle Denny's hopefully you guys went there. Me: Were at a different Denny's, now what? As I said this we saw them parked outside of the same Denny's so she told me to hang up and so I did. I didn't get much of a glance at the guys until they started walking towards the truck. When I jumped out of the truck all they could see were my cowboy boots and tanned legs I shut the truck door and was blown away. I can't explain the feeling I had when I saw him. I almost lost my breath, seriously I totally swooned for him. He was everything I had ever looked for in a guy (tall, handsome, blue eyes etc) I knew things were looking to be too good to be true and they were. Unfair life came kicking me in my nonexistent balls when Elisha introduced me to Eric his friend who would be my date for the night. I was a little bummed but figured Andrew would never go for a girl like me so I brushed it off. Throughout the night I couldn't help but stare at him and everything he said I'd laugh at, like a little girl. Leaving for the night I figured I'd never see him again and was trying to convince myself to get over him even though I hadn't even known him a couple hours. The next day at the fair he hunted us down and sat by me. I was surprised and even more surprised when later that night he asked Elisha for my number which took her almost four hours to give him. That night he asked me if I wanted to go on a date and we did. A month later we are still dating, no summer fling here. Its honestly feels like my very first relationship. There is something very different about this and I guess when they say you know, you really do know. All my problems seem so small with him in my life. I am so grateful for God putting him in my life I am truly blessed. On a lighter note I decided to share a little of what we did this last weekend he likes to think he is a bit of a daredevil. After it stops recording he falls out of the pool I wish it had captured it. Enjoy! These are the stories of two young kids who fell in love and got married. Against all the odds we've grown together and have fallen even more in love. Here you will watch us grow, read embarrassing stories and smile because the best is yet to come. I hope you enjoy my blog as much as I do. Sabrina B. Copyright. Simple theme. Powered by Blogger.